At the Mahaffie Stage Coach and Farmstead it is the goal to provide their guests an joyful and an educational experience while they visit the historical site. One way to capture these elements is to offer their guests the option of viewing and and interacting with interpreters on the grounds who care for the site day in and day out. It is the hope that the guests take away some educational aspect of the life on the frontier and enjoy the site for what it has to offer with the use of interpreters. During my Summer internship at the Mahaffie organization, I have been rotating my duties and one of my duties is taking on the role of an Interpreter. At first, honestly, it was a bit of a challenge for me. My nerves have gotten the better of me at times due to being very new with handling guest/public relations but I have had a wonderful support network which who have guided and steered me into the right direction. As an interpreter at the Mahaffie StageCoach, it is my duty to provide the guests the backlog of information that will help support the mission of the site-such as explaining the necessities of gardens while watering the grounds as I speak in front of a group, or providing the backlog of information of the Barlow & Sanderson Stage Coach that guests tend to love, to filling in the historical background when upon a question is asked by a guest when they spot something unknown to them. I am gaining so many educational experiences for my future that one can not gain within the classroom. It has been and will be something I will reference to for future bases. 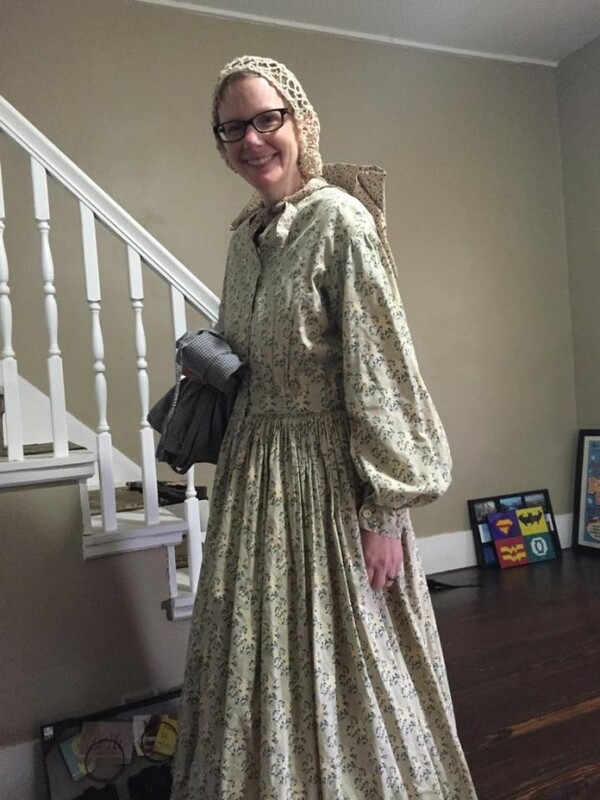 This entry was posted in HistoryMaking and tagged Mahaffie Stage Coach and Farmstead on June 25, 2015 by Katherine Miller. This week I have been spending time on the tour script for the Majors house. 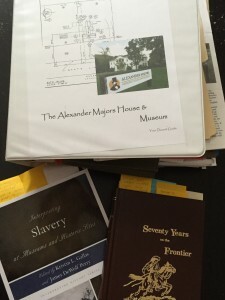 Mostly, I have been going through Majors’ memoir, Seventy Years on the Frontier, and looking at the documents from the Wornall-Majors Museum records. The documents from Wornall-Majors will take more time to figure out just because of the range of things that I have found. Majors’ memoir, however, has supplied me we with a good amount of information that I did not know and will add into my tour script. I know I have to be careful with some of the information that Majors writes. As a good historian knows, memoirs are biased and based on memories usually written decades later. (Majors, writing in 1893, is a fan of the traditional narrative of the West. And thus, treats groups, like Native Americans, not in a correct or appropriate manner that we expect today.) So, the stories will not be used in that manner in my script. However, some of these stories could be great material in trying to explain Majors thoughts, feelings and self-identity. Storytelling is a major part of a tour because it keeps visitors engaged. For example, talking about the accidents that plague Pony Express riders (drowning, freezing to death) is a way of saying it was dangerous occupation so people learn it quickly and have examples. I have not had many visitors only interested in the bare facts of the building and the facts about Majors. Not to say that it hasn’t happen where people will only ask questions about when furniture was built or wanting to know about the different kinds of wood. It happens, and some times people only want a chance to talk about what they know without my input. I, however, notice that people will directly engage me more if I tell them a great narrative as an example of what information I want them to know. This entry was posted in HistoryMaking and tagged Bias in sources, Research, Tour Writing on June 24, 2015 by Savannah Lore. From my previous introduction posting I would like to expand on why I chose to intern at the Mahaffie Stagecoach, explain the organization’s mission/history for those who are not familiar with it and let my journey expand from there. As an undergraduate, I quickly decided I needed to have an opportunity to apply the hard earned skills and knowledge outside the classroom. I am a non-traditional student who has attended part-time for nearly five years straight, so I felt it necessary to test my knowledge near to graduation and the HistoryMakers Summer Internship Program fit into my schedule perfectly. Without hesitation, the staff at the Mahaffie Stagecoach and Farmstead were gracious enough to take on me as their intern for the summer. I found them through the UMKC HistoryMaker Program Site. I wanted to do something totally out of my element and area of knowledge. I have picked the perfect place to intern then. I have slowly found my way though. James and Lucinda Mahaffie built the original farmstead in 1858, ran their farm until 1870, then remained on the grounds until 1886. Today, the Mahaffie StageCoach and Farmstead stands as one of the few Santa Fe Trail stagecoach stops remaining. It is the only stagecoach stop which is preserved as a public historic site. 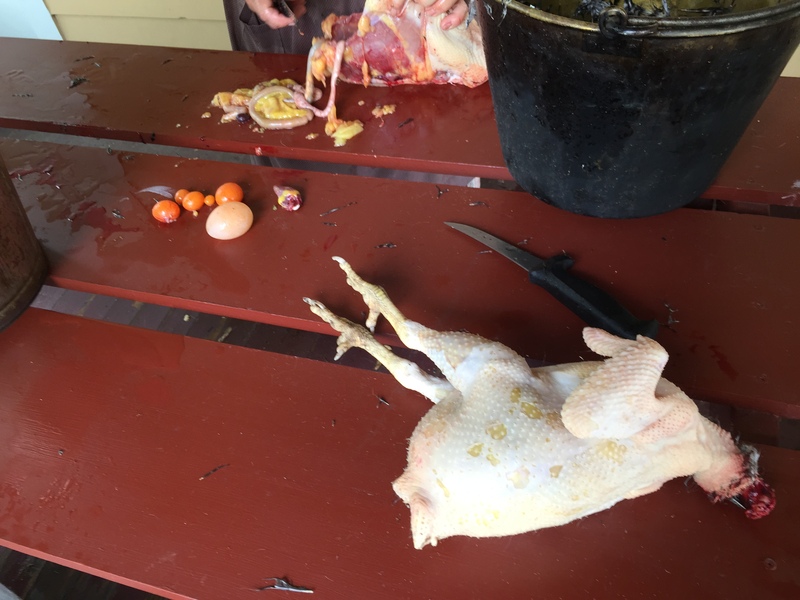 The staff of the Mahaffie StageCoach and Farmstead offer their guests a ‘hands on-history’ learning experience. The site focuses on the 1860s farming, frontier life, and stagecoach living while preserving the significance of the owners. 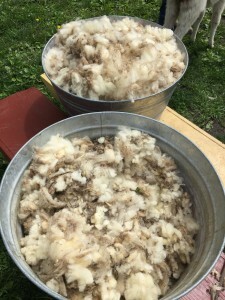 This entry was posted in HistoryMaking and tagged Mahaffie Stagecoach and Farmstead on June 23, 2015 by Katherine Miller. Part of the charm of historic homes is the creak and groans of the place as you walk around. They add to the story you are trying to tell and take the person back to that time period. They can hear the history in the walls and in the floors. When I am not giving tours, I am documenting the well loved and well used spots of the Majors House. This is mostly so we know what is going on in the home. Where are the holes? Which cracks need to be filled? Did that one get larger? This is just part of the job when you work in a building with floors that are 159 years old. I will say that we do not need or want every flaw to be repaired. 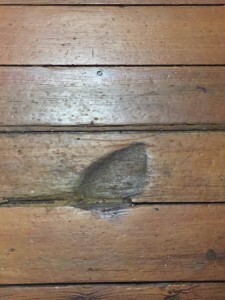 A great example of this is a little mark in the floor of the children’s room of the house. This mark is a burn from a hot iron that fell on the floor in the children’s room. I use this mark in tours to discuss not only who would be in this room but what they would do in here when Alexander Majors lived here in 1856. (The enslaved women ironing the children’s clothes.) Also, I can give context to how dangerous simple things domestic task could be in this period. That iron was hot enough to burn a deep indent in solid wood floors and it happened in the children’s room. You can imagine how much that would have hurt if it fell on the enslaved women who was ironing or a child in the room. Stories can come from the most unusually places and I have learned that what can seem like flaws can be great tools to share history. 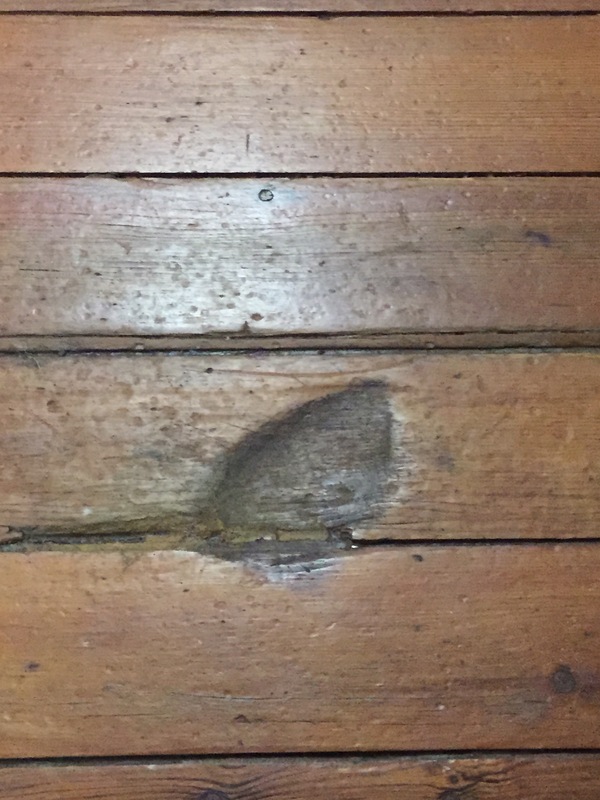 This entry was posted in HistoryMaking and tagged Documenting in Historic Homes, Historic Preservation, Wornall-Majors House on June 22, 2015 by Savannah Lore. The Mahaffie Stagecoach Farmstead and an Intern: An Introduction of the Pair. 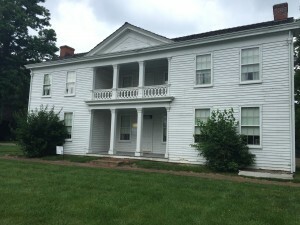 I have been interning with the historic Mahaffie Farm and StageCoach for a month now and have there have been many brand new experiences for me that I needed so badly that one can not seek th rough a book. All of the Mahaffie Staff and their regular volunteers are very knowledegable and have guided me towards fitting right into their program. So far, Katie, my immediate supervisor has blown me away with with providing me with tasks and projects that I probably will not be able to seek until later on in my career-but I am so thankful for this LIMITED opportunity that their staff has supplied me! Katie, Tim, Aleixis and of course Dr. Cantwell will be thanked properly later but now here comes the FUN stuff!! 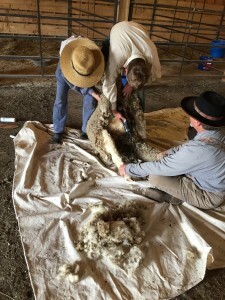 My very first day, I helped shear this guy! This entry was posted in HistoryMaking and tagged Interpretative Outreach Program, Mahaffie Stagecoach and Farmstead on June 11, 2015 by Katherine Miller. My name is Savannah Lore, and I am a graduate student in the Public History program. During the summer semester, I will be doing my internship with the Wornall-Majors House Museums. My time will be spent conducting the weekend tours at the home and building a tour script for the Alexander Majors House. For a little historical background on Majors, he was nationally known for his part in the large freighting firm of Russell, Majors and Waddell in the 1850s and 1860s. His other main contribution to history was starting the Pony Express in 1860. With this history in mind, I am trying to create a script that can tell this story but not leave out the story of his life in this home. Majors’ story is obviously a national story that deals with Westward Expansion, but we also have a house that tells a great story about life in Missouri during the 1850s and 1860s. I know that one of the issues I will have to take into account and wrestle with in my tour script is trying to balance out the stories to create a solid narrative. One of the reasons I wanted to do this project was to understand and experience writing in this way. Also, I wanted to dig up some great stories and answer questions I already have about Majors and this house. For the next few weeks, I will also try to find the balance in my posts to discuss not only my progress with my tour script but also my experiences working with the public at the Majors House. Trust me, giving tours are an experience. I do not want to deprive you of the stories I have about tours and the things I have learned giving them. I experience a new question, a new perspective or a new challenge from visitors every time I open those doors. This entry was posted in HistoryMaking and tagged Tour Scripts and Stories, Tours, Wornall-Majors House on June 10, 2015 by Savannah Lore. The Center for the History of Family Medicine (CHFM) is presently accepting applications for one internship position with an emphasis in the history of Family Medicine. The CHFM serves as the principal repository for the collection, conservation, exhibition and study of materials relating to the history of the specialty of Family Medicine in America, and acts as a combination library, archives and museum. The Center is located at the national headquarters of the American Academy of Family Physicians (AAFP) at 11400 Tomahawk Creek Parkway in Leawood, Kansas. 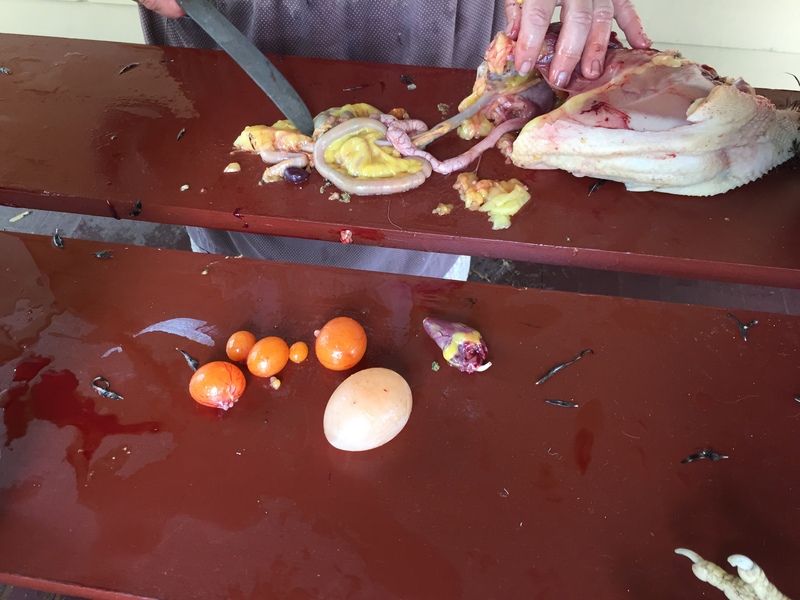 This entry was posted in Open Internships, Paid Opportunties and tagged Center for the History of Family Medicine, Collections Management, Medical History on June 3, 2015 by Chris Cantwell.